We hear a lot about Uber being a bad company full of bad people, but it’s not the only big name in the tech world with a bit of an evil streak. 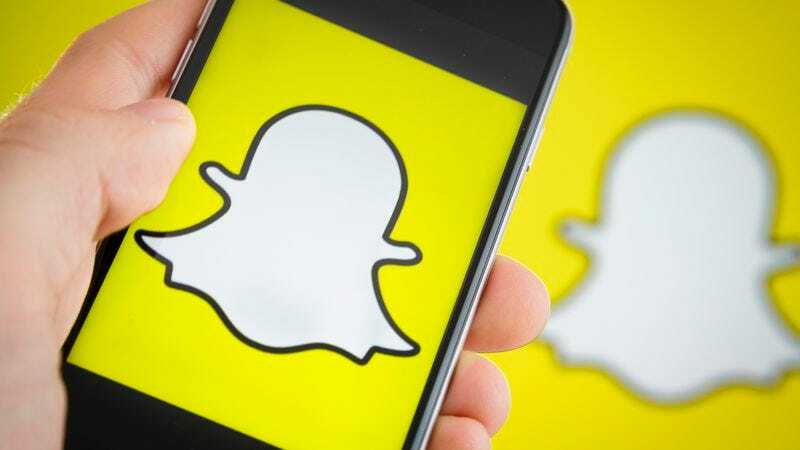 In fact, even Snapchat—the go-to app for both sexting and making your face look funny—is apparently a member of this not-so-exclusive club, with Mic reporting that the company recently threatened to put NRA ads on a series of videos promoting National Gun Violence Awareness Day if nonprofit organization Everytown For Gun Safety didn’t buy them first. This comes from a series of leaked emails that indicate that Everytown had approached Snapchat about doing some kind of branded content about preventing gun violence early last year, with Snapchat’s head of political sales Rob Saliterman quoting the nonprofit at least $150,000 for whatever it was planning. Then, separate from that potential deal, Snapchat’s news team approached Everytown about working together to promote gun safety with a big event that would feature videos of families talking about loved ones they lost to gun violence alongside celebrities like Kim Kardashian and Amy Schumer talking about the importance of gun safety. This project also wouldn’t cost Everytown any money, so it gave up on the other deal and moved forward with the free one instead. I just learned our News Team is doing a Live Story on National Gun Violence Awareness Day. I would urgently like to speak with you about advertising opportunities within the story, as there will be three ad slots. We are also talking to the NRA about running ads within the story. To be clear, the story has the potential to be bought by any advertiser, including the NRA, which will enable the advertiser to run three 10-sec video ads within the story. This is analogous to how any advertiser could buy advertising in a TV news program about violence. The advertising will not impact the editorial content within the story as our teams are independent. In the end, Everytown For Gun Safety was forced to back out of both the free editorial partnership and the paid ads, and Snapchat ran its own gun safety content without the nonprofit’s branding.